Milly Green offers a range of high quality design-led products for children and the home. The products feature Milly Green's distinctive designs which are a contemporary take on popular traditional themes. The Children's range includes the bestselling doodlemats, placemats, melamine tableware, stationery and textiles. 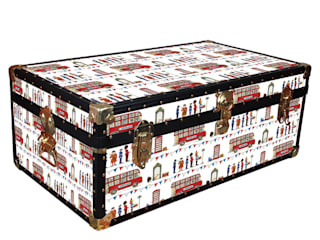 The Homeware ranges include trunks, tuck boxes, fine bone china, stationery, tinware and textiles. The 5 core ranges are Celebrating Britain, horses, dogs, quail's eggs and feathers.